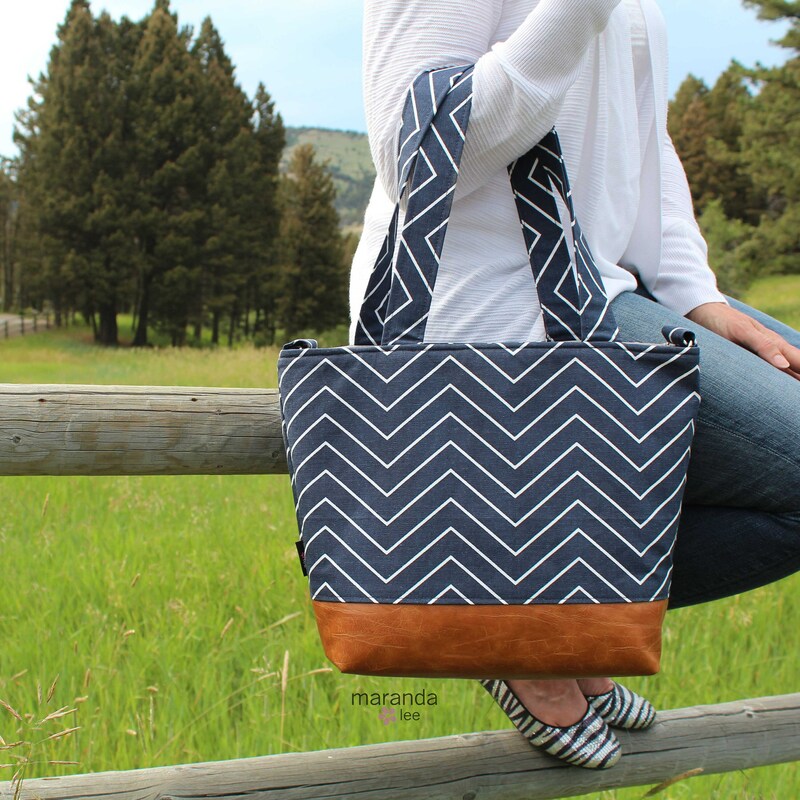 This large tote bag is perfect for everyday! 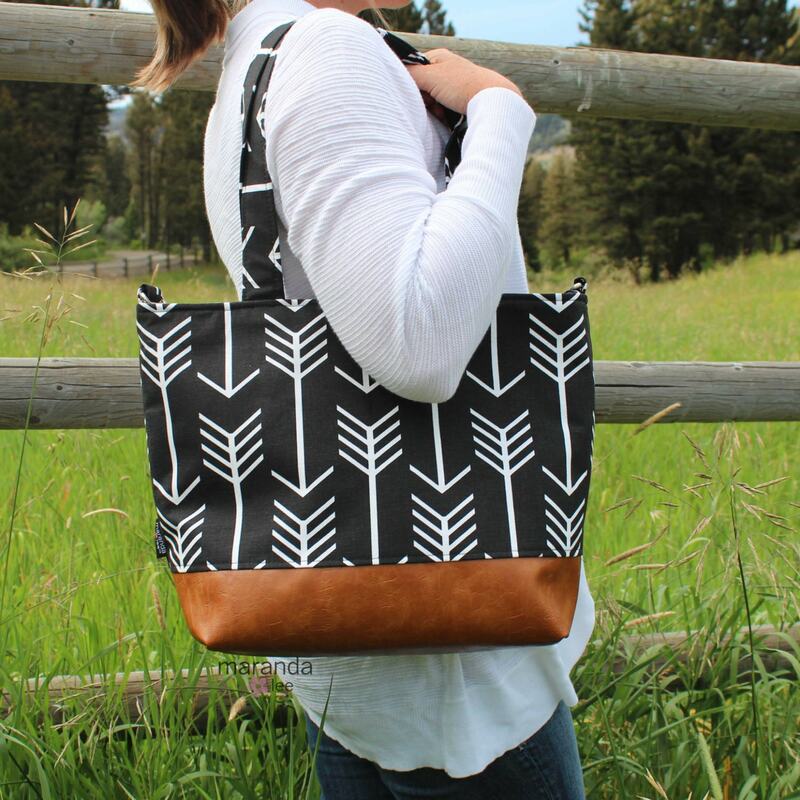 From running errands, strolling the farmers market and toting the baby and kid gear, this bag will carry you through your day in style! 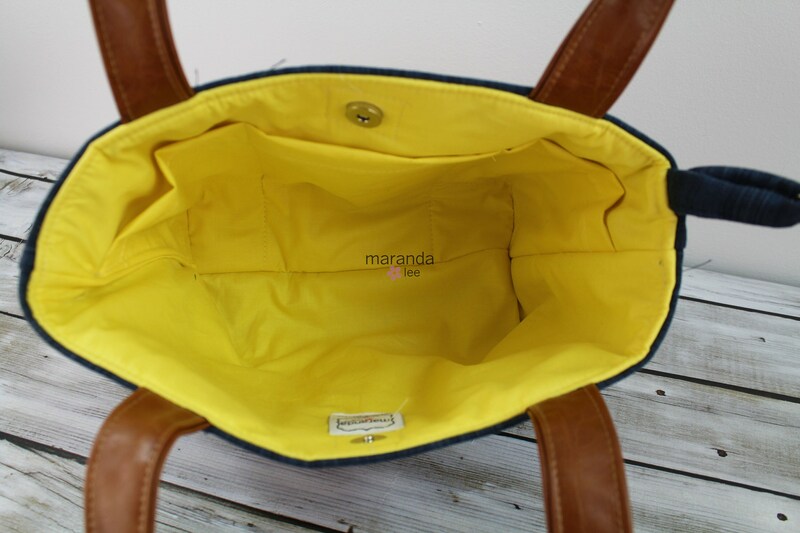 The 6 interior pocket system will keep you organized in any situation and can accommodate diapers, wipes, bottles and more! 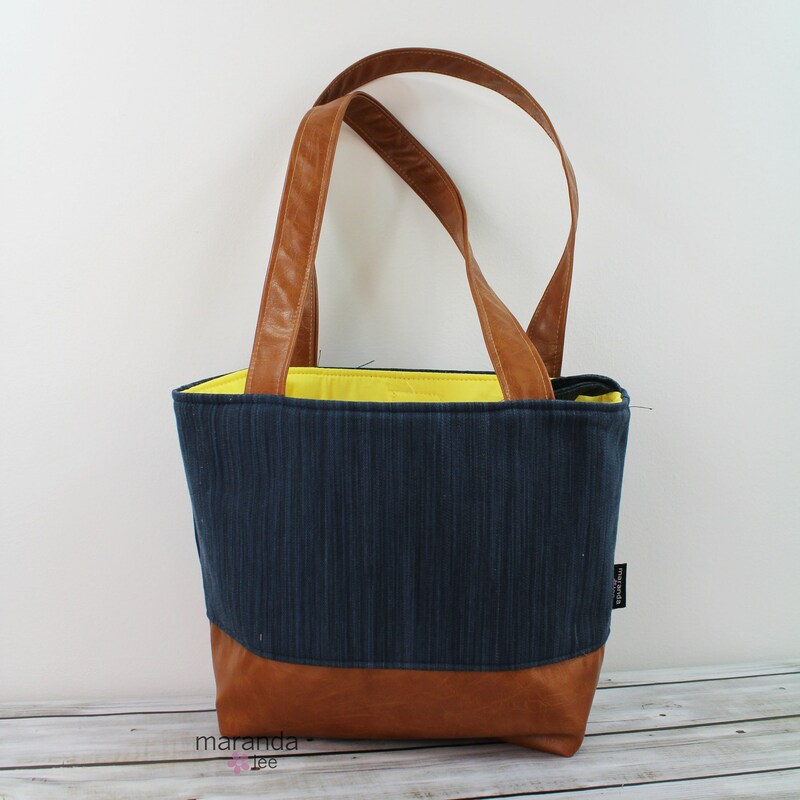 Shown here in Navy Denim (home dec twill) and PU (faux) leather. Lined with yellow. 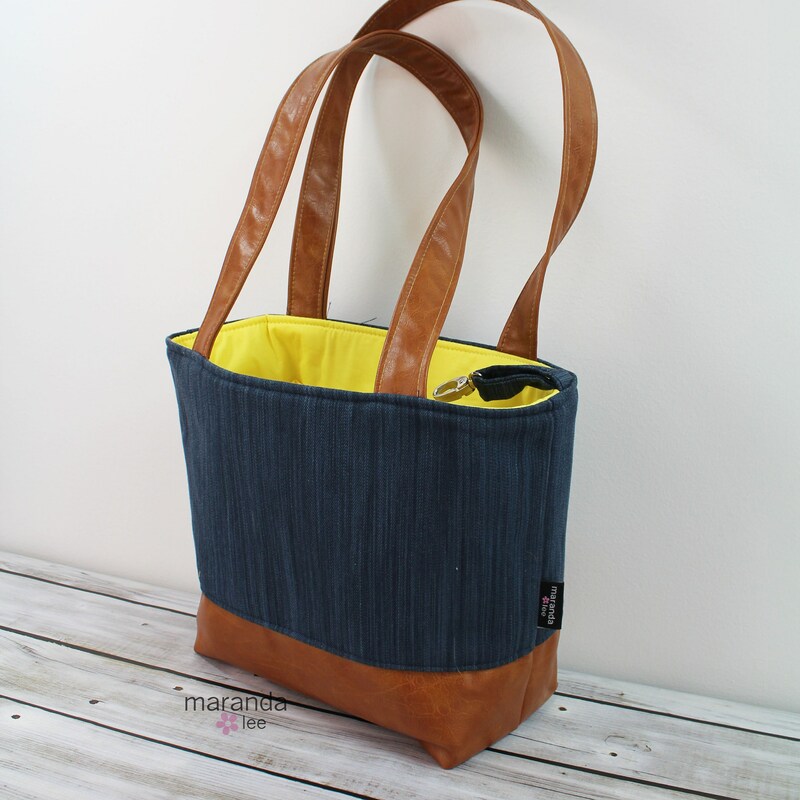 -Keyhook at the top of the bag so you never dig for keys again! **Compare bag sizes at www.marandalee.com/faq/sizing.